I read with incredulity the continuing slide to the left by respected people, such as Rabbi Dr Nathan Lopez Cardozo, in his incredulous blog post on Tisha B’Av, where he finds it difficult to mourn because Jerusalem is in a state of such glory. I won’t go through it, piece by piece, and rebut each of his arguments. 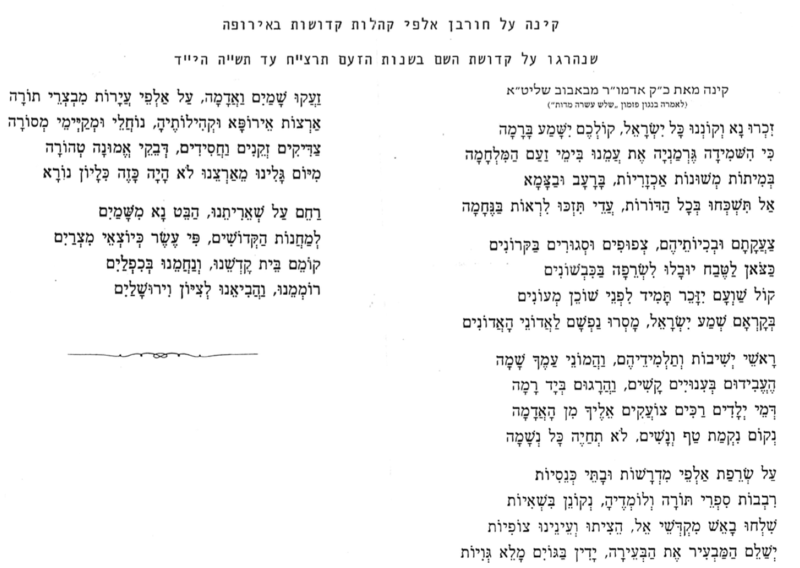 I will note that Rav Goren, whilst not sliding to the left attempted to make changes to the prayer of Nachem, especially after Jerusalem was perceived as being as united. I had no difficulty seeing the many areas in our Jewish experience that warrant a sombre, halachically mourning-oriented, day. It is true, that I’m not poetically inclined, and the piyutim of Kinos are mostly unfathomable to me, despite the Rav Soloveitchik publication on Kinos. Perhaps if I’d spent ten years listening to the Rav on Kinos, during his marathon expositions, I’d develop a keen sense. Instead, I see those who need to go to work, rushing through, saying words they often don’t understand, and skipping around. In the days of my youth, I saw old Chabad Chassidim sit until mid-day and longer and say each word carefully. The Aveylus/mourning of Tisha B’Av was palpable. I will never forget Rav Betzalel Wilshansky, a Chasid of the Rashab, unable to say more than three or four words of the Haftora without breaking out into uncontrollable weeping. Sure, he would have lived through the hell of Russian Jewish existence, but I have no doubt that his thoughts transcended that experience. We are taught to be positive at all times. It’s good for the psyche, “good” for bringing up children, and is the modern mantra. When taken to the extreme, though, it is nothing more than another level of extremism, removed from reality. One must call ‘a spade a spade’ at times, and although we need to choose our moments carefully, and be cognisant of the differences of each child, and the new environment of social networking and internet and will be part of their lives, we must stay an anchor as parents and educators in ensuring the transmission of the Mesora from generation to generation. I believe the role of a parent and educator is arguably harder today than it has been. The information explosion, creates so many poorly researched and badly argued propositions. The Neshama is clouded by these manifestations. People try to now reach the Neshama, and break through to reach it, using new devices. They resort to different approaches: including neo-hippy style religion, as manifested through indie/rap/alternative modes of music. They resort to mindfulness, when they actually practice mindlessness–an evacuation of the cerebral and emotional trials and tribulations that need to be dealt with, each according to their particularised approach. The home has become not so much a bastion of home cooking, and family get togethers for important events. People seek to eat out. They want to taste the koshered delicacies that they believe they have missed, and will fill their lives with more meaningful experience. Do I really need Facon, or Ben Pekuah farms? How many of us sit down once a week, and learn Torah with our children, even after they are married. Technology allows us to do that by FaceTime, Skype or other means. Why not? What is the method of galvanising the chains of Mesora between us and our offspring. Which brings me to Yerusholayim Ir HaKodesh. I do not want to fall into the pitfall of the spies and speak badly about the city. It is THE city in Israel where I feel a certain spiritual energy rising from the soles of my feet and encompassing my body. At the same time it is racked with so many problems. There are issues of violent fundamentalists. There are issues of a sad divide between Religious and Secular; the latter caused by the paucity of genuine love of a fellow jew. Love arises when commonality is seen clearly despite difference. If one is unable to break through and sense the Neshoma of the secular Jew and love that person because they share that self-same Neshoma with themselves, then they are blinded. They are not blinded by the light. They are blinded by the darkness. I do not think anyone who transgresses should be made to feel unwelcome, today. There are very few old-fashioned Apikorsim, people who actually know enough to be called an Apikorus. At the same time, who can be comfortable with the concept of PRIDE (as opposed to respect for difference) that is visible with public sexual overtones? Who can not find a day to be sad because Holocaust survivors who live in the State, are still not treated well? Who can not find a day to be sad when the fake historiographers attempt to whitewash the essential Jewish Connection to the Har Habayis? Who can not find a day to be sad when adding a Kinna to remember the horrors of the Holocaust? Who can not find a day to be sad when the things that unite different religious groups, despite being greater than the things that divide, do not conquer? Who can not find a day to be sad when Jerusalem, “The Light of the World”, is not seen that way by the world at large? Who can not find a day to be sad when those Jews who have some Rabbinic permission to walk at certain parts of the Temple Mount may not, according to law, even project a semblance of prayer! Who can not find a day to be sad when reading the story of Kamtza and Bat Kamtza and realising that these things continue to go on today through so-called neutral Jewish NGOs? Do we need to unmask Bernie Sanders? Who can not find a day to be sad when we see a George Soros or a New Israel Fund, that seeks to force an unrealistic solution with no second partner? Who can not find a day to be sad, knowing that in the last year, incidents involving stabbings, especially in Jerusalem were an almost daily occurrence, and of course, the world blames the Jewish “Zionists” for their defence against such? Who can’t see the rupture being created by Open Orthodoxy, as it morphs into the new Conservative movement? Who can’t see that isms, such as Feminism, are used to tortuously twist Halacha, rather than the other way around? Who can not find meaning in Eicha, and Medrash Eicha that doesn’t reflect on all the above and more? Why sit at home? Is this a protest against the prescribed Mesora of the Availus of Tisha B’Av, which parallels the Availus of Shiva? Who can not find reason to be sad that when someone passes away, we increasingly follow the non-Jewish practice of “celebrating!” their life. The Rabbis decreed there was a time for introspectional mourning. Shiva suddenly becomes one day. In Australia, they like to get drunk after a funeral as if to wash away the sorrow. There is a time to reflect. It is cathartic. One goes to the Shiva house. One does not stay at home. For the first three days one doesn’t speak first. We wait for the mourner to speak IF they feel like it. The celebration of their life isn’t a one time event. Following the year, it is a daily remembrance of tears interlaced with good stories and lessons, through the prism of the life history of the departed. I admit, it is hard to imagine what life will FEEL like once the Messianic era does formally occur. It has not. The sheep does not sleep near the wolf in peace. The world is a terrified enclosure, and civilians are being slaughtered everywhere “all in the name of religion”. I am not sure how Rabbi Cardozo qualitatively defines the Messianic era, but it seems to me, if he enunciated that, he’d have no issue, on the saddest day of the year, to join in the Shiva, that we all take part in. 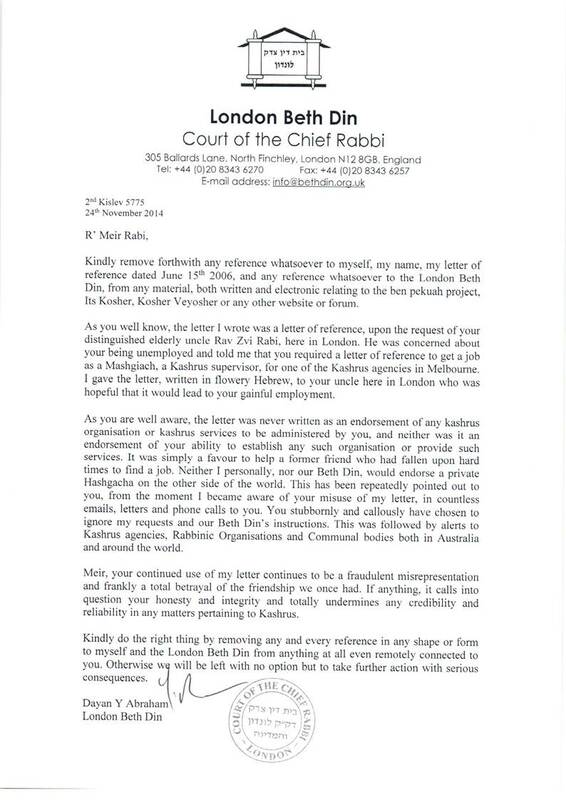 It is true, that our Rabbis also promised us that this will be transformed to a day of Yom Tov. I attend Yom Hashoa out of solidarity, but my real Yom Hashoa tacks onto Tisha B’Av. I look forward to the full and real redemption: each day: so should Rabbi Cardozo. I know that most Poskim forbid it. If my hands are dirty, then I am permitted to remove the dirt with water and soap if necessary, preferably up to the knuckles if possible. Now that we know that our teeth are actually dirty with plaque. Plaque consists of microorganisms and extracellular matrix. The microorganisms that form the biofilm are mainly Streptococcus mutans and anaerobes, with the composition varying by location in the mouth. Examples of such anaerobes include fusobacterium and actinobacteria. The extracellular matrix contains proteins, long chain polysaccharides and lipids. The microorganisms present in dental plaque are all naturally present in the oral cavity, and are normally harmless. However, failure to remove plaque by regular tooth brushing means that they are allowed to build up in a thick layer. Those microorganisms nearest the tooth surface convert to anaerobic respiration; it is in this state that they start to produce acids. Acids released from dental plaque lead to demineralization of the adjacent tooth surface, and consequently to dental caries. Saliva is also unable to penetrate the build-up of plaque and thus cannot act to neutralize the acid produced by the bacteria and remineralize the tooth surface. They also cause irritation of the gums around the teeth that could lead to gingivitis, periodontal disease and tooth loss. Plaque build up can also become mineralized and form calculus (tartar). I understand that on Yom Kippur we have an additional issue of Inuy, afflicting oneself. Why isn’t plaque considered like “dirt” that may be removed? It could be argued that nobody, even a dog, would swallow tooth paste let alone listerine. Why not allow brushing with a half a cupful of listerine or similar?